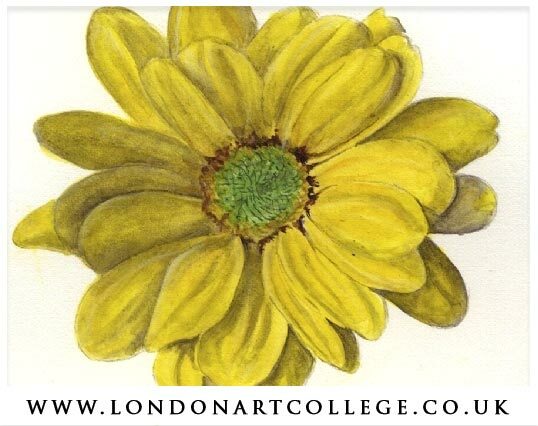 This is a close up detail from a full flower painting by a student who is studying the Botanical Illustration course. It is bold and bright and full of light and shade which is great. Creating shadows in watercolour can be very difficult as you can end up with areas that don’t feel as crisp and bright as they should be. I encourage all students who work in watercolour to look at laying colours that are perhaps cooler and fresher to depicts these areas – for instance purples work great for cold shadows, or darker oranges can work well for warmer darker tones. Do experiment with colour as it is so important. Have fun!